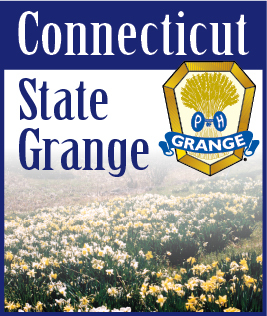 The Grange Growth Program is underway in CT. The teams have recently received training on the game plan and are ready to offer their help to any Grange that requests it. This program is strictly voluntary, it will not be forced on any Grange. It will, however, if requested, take a sincere commitment on the part of that Grange to be successful. This team-based approach is working in other states with great success already. The idea is to help the individual Grange recognize it’s strengths and assets as well as problems that it faces. To find out what is important to the members and to decide what they want. The Grange together with the team will discuss their desired future. They will be researching opportunities for Grange Growth in the community, find out what activities the residents are passionate about and then establish goals for the Grange. We know that the more your Grange is doing to meet the needs of your membership and your community the easier it becomes to attract new members. Under the guidance of the Grange Growth Team the Grange will create a plan and then implement that plan to get attention for the Grange from the community to help it survive and grow. The team will also help make sure that the Grange is working on it’s objectives. You will not be set adrift afterwards, we are in this together. We will Follow Up! It is an established fact that out of the total population 2% are willing to join an organization, 22% are willing to join if asked. That gives us 24% of the population as perspective members. As stated before, participation in this program is voluntary, but most Granges can benefit from it. We have nothing to lose and much to gain. We invite you to participate in this project and if you have questions please contact any member of the Grange Growth steering team: Jeff Barnes, Marge Bernhardt, Todd Gelineau, Jim & Lisa Lamoureux.